But the deal also represents a milestone in a growing effort, both in the music business and in other media industries, to bring technology to bear on complex rights-management problems to try to open up new, more efficient and transparent channels for exploiting and monetizing media content rights. Those rights-tech efforts could eventually prove as disruptive to the business of owning, using and licensing media rights as technology has already proved to the distribution side of the business. According to Dubset CEO Stephan White, a typical DJ mix has 25 to 30 songs, requiring payments to 25 to 30 record labels, and anywhere from two to 10 publishers for each track. Altogether, a single mix could have upwards of 600 separate rights owners, White told Billboard. Dubset managed to cut that Gordian knot through a combination of technology and painstaking negotiations with record labels and publishers. Dubset’s MixSCAN® technology parses mixes & remixes into smaller micro audio segments and uses a combination of acoustic and textual fingerprinting technologies, along with proprietary heuristics and pattern analysis technology, to identify all the original master recordings used in the mix or remix. 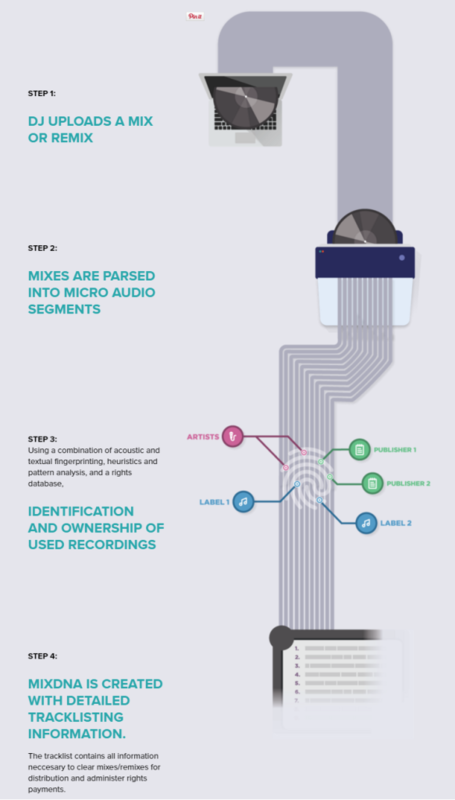 This information is then used to build a unique MixDNA track list and copyright structure that can be used to control usage and distribution of content by rights holders, and collection and administration of streaming royalties. 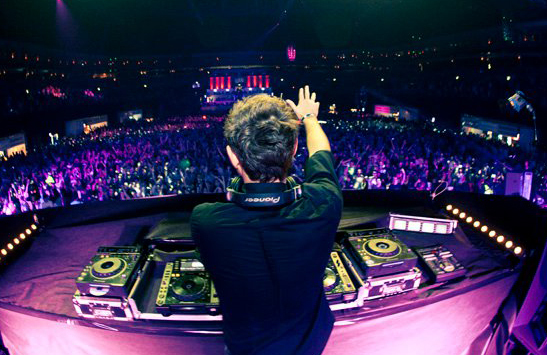 Once a mix has been fully cleared it can be distributed to whatever music services the DJ wants and the rights permit. Payments to rights owners are then handled by Dubset. Dubset is far from alone in trying to automate the process of music rights management, however. Last month, Tulln an der Donau, Austria-based Rebeat Digital launched its Music Enterprise Software platform to help record labels manage royalty accounting and artist contracts. Other entrepreneurs are exploring more radical approaches to overhauling how music rights are managed and monetized. PledgeMusic CEO Benji Rogers, who also sits on the Dubset advisory board, has been an outspoken proponent of adopting the blockchain open-ledger technology underlying Bitcoin and other cryptocurrencies as a model for the music business. To put it simply, if we could put every song’s [essential metadata] into a global decentralized database owned by all who interact with it, then this would start to solve a multitude of the music and content industry’s problems regarding ownership, payments and transparency, Rogers wrote last year. Real-world experiments are getting close. Startup PeerTracks aims to launch its blockchain-based distribution platform MUSE later this year. Grammy Award-winning artist Imogen Heap released her latest song “Tiny Human” via Ujo Music, a blockchain-based e-commerce platform as a proof of concept, and has launched her own initiative, called Mycelia, to build an entire music ecosystem based on blockchain. Blockchain technology is also attracting interest outside the music business. This week, NY-based startup Blockai announced it had raised $547,000 to launch a blockchain-based platform for authenticating works by graphic artists. Blockai enables artists to register their works on the Bitcoin blockchain, generating a registration certificate providing cryptographic evidence of copyright ownership. Works can then be distributed digitally without fear that rights information will get stripped from the asset, preventing the artist from rights to a use. Similar blockchain-based applications for authenticating digital works have been developed by Monegraph, Ascribe, and Verisart. The value-chain for most rights-based businesses has by now largely been remade by digital technology. Works are created digitally, distributed digitally, and consumed digitally. Media organizations have become flatter and networks have become open and decentralized. The one link in that chain that has so far resisted that tide, however, is in some ways the most important: the buying, selling and licensing of rights. That process has remained largely centralized, institutionalized, human-mediated, and opaque. But from music to graphic arts, to publishing and photography, to film and video, movement has begun to remake the rights trade on the same machine-readable principles and terms as the rest of the value-chain.